Endless Alphabet App Just $4.99! You are here: Home / Great Deals / Amazon Deals / Endless Alphabet App Just $4.99! My grandkids love, love, love these Endless apps and continue to play them for months and years! Head over to Amazon to order this highly rated Endless Alphabet App for Just $4.99! Digital download so no shipping! Set the stage for reading success with this delightfully interactive educational app. 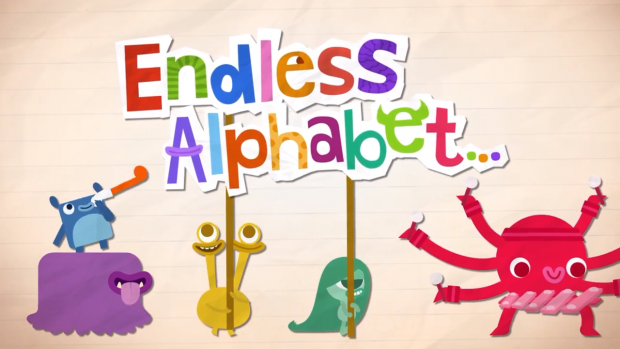 Kids will have a blast learning their ABC’s and building vocabulary with the adorable monsters in Endless Alphabet. Each word features an interactive puzzle with talking letters and a short animation illustrating the definition. Before you know it, your child will be using words like gargantuan and cooperate!